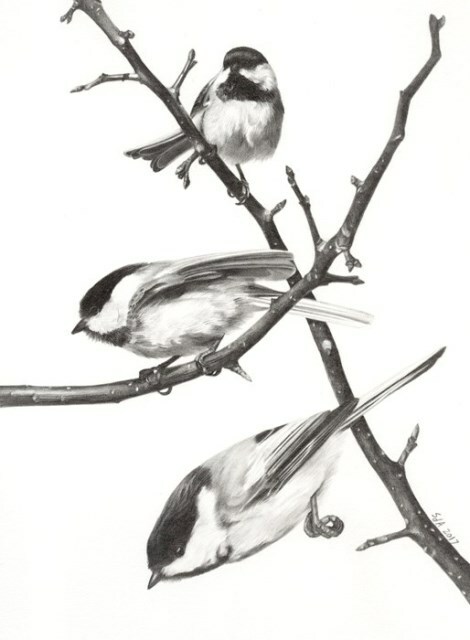 Sue’s artwork is inspired by her love of the natural world, and all creatures great and small. She has been an avid birder for over twenty-five years and an equally avid butterflier for the last fifteen. 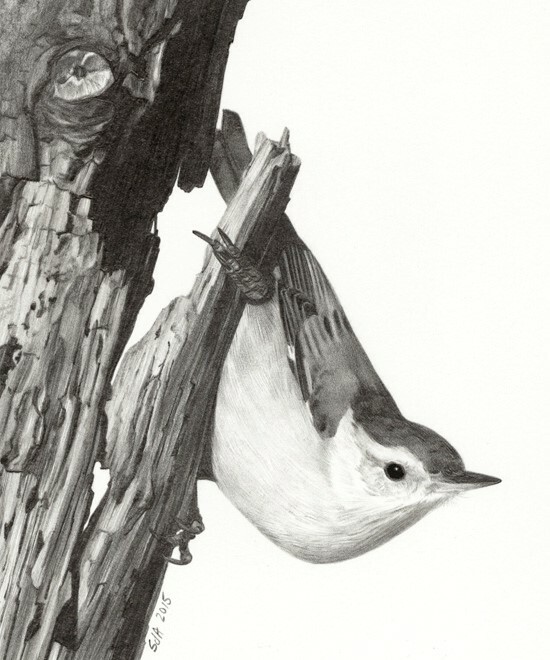 Sue is fascinated by everything in nature and portrays many different animals, but birds are her favorite subject and comprise the majority of her work. She features detailed subjects with simple, sometimes even stylized, backgrounds. 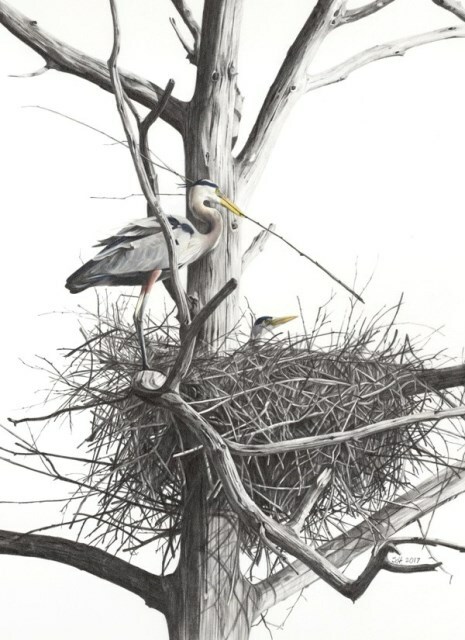 Sue works in various combinations of watercolor, colored and graphite pencils and also creates hand colored etchings. Sue grew up near Syracuse in central New York State and was fortunate to attend a public school known for excellence in art education. She also took several art courses while attending college at St. Lawrence University. Sue was interested in the natural sciences from a young age and traveled across North America and Canada on family camping trips to visit numerous national parks in her youth. The birding bug and subsequent interest in nature and conservation found Sue in her mid-twenties. Sue has worked as a volunteer on numerous surveys of birds and butterflies in New York State, and served as an officer or board member of her local Audubon chapter each year from 1985 to 2010. 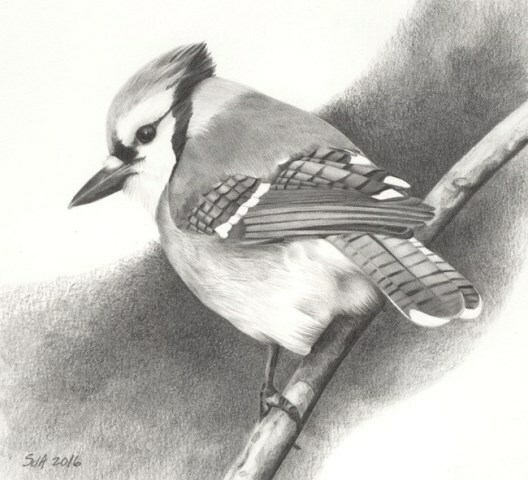 Sue regularly donates original drawings or paintings for conservation fundraisers and has pledged a percentage of the proceeds from her original wildlife art to conservation causes. Today Sue splits her time between homes in Schenectady, New York and Stony Point on Lake Ontario. From these locations she explores wonderful natural areas such as the Adirondack Mountains, Long Island beaches and the shoreline of Lake Ontario. She spends many hours in the field observing, photographing and sketching wildlife. She has traveled extensively in North America and has made several trips to the neo-tropics. In 1996 she visited the Antarctic Peninsula, and in 2008, northern Tanzania both of which she found awe-inspiring places in every way. 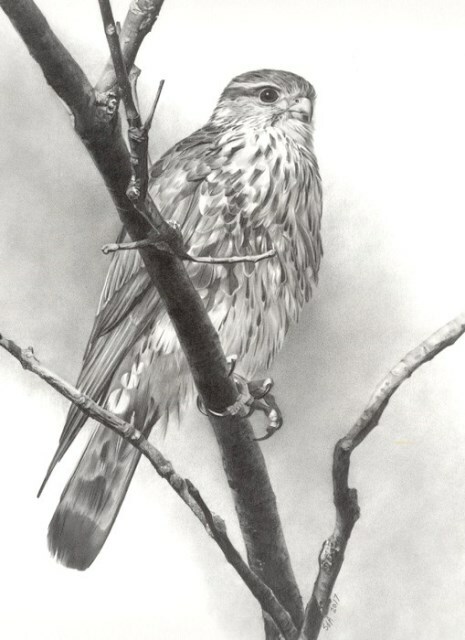 Sue’s work has been included in many prestigious national and international exhibits including Birds in Art (Leigh Yawkey Woodson Art Museum), Art and the Animal (Society of Animal Artists annual exhibition, various venues) and Art of the Animal Kingdom (Bennington Center for the Arts). 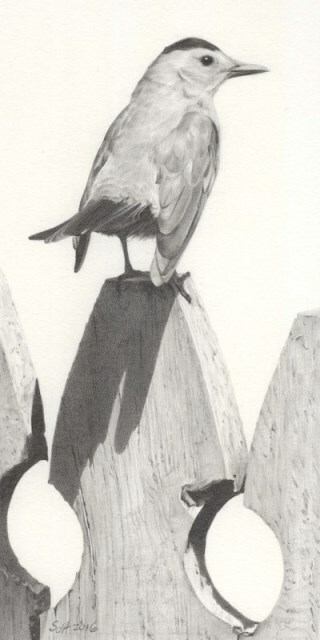 She has received the Society of Animal Artists Award of Excellence and her graphite and mixed media drawings have been selected for publication in North Light Books best of drawing series “Strokes of Genius”, volumes three through six. 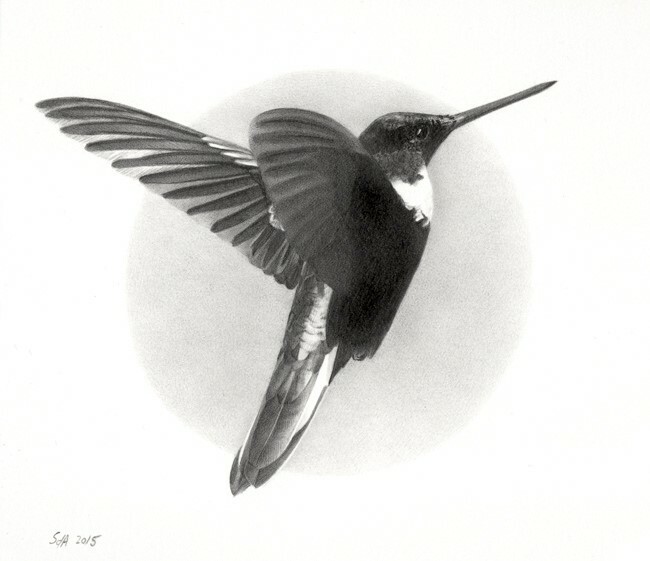 Sue is a signature member of the Society of Animal Artists, Artists for Conservation and the Colored Pencil Society of America.